To receive a estimate for our one time cleaning service, contact us at: 020 3746 3201 or by completing in our booking form. 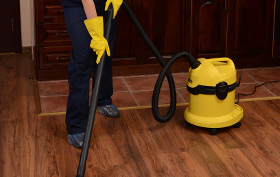 Better Cleaning Company prides itself with the outstanding one time cleaning service it provides to the citizens and businesses in the region. Our one off cleaners Greater London SE work in accordance to the senior management integrated safety and quality procedures. Our expert cleaning services company makes sure its cleaning technicians abide by the prerequisites and always provide you with a top quality spring or builders cleaning services. Our cleaning technicians are dedicated to offering appropriate spring cleaning in Greater London SE. You can hire us ahead of, during or following Spring to thoroughly clean virtually any part of your home in a professional manner. You may select from our specific one off cleaning checklist, and book our reasonably priced service as longas you need. If you blend this service with 1 or even more of the other services that we offer, we may offer you price reduction of up to 15%. Тhe Benefits Of Booking More Than One Cleaner? Require a couple of technicians any time you need to clean up below heavy furniture or appliances. In case you want us to deliver the cleanup solutions and tools, inform us in advance. In cases when my technicians say they won’t be able to complete the entire cleaning on time depending on the list? You have the opportunity to increase the appointment in time if is effective for the cleaners and for you. Otherwise you can arrange another cleaning session to complete the whole work. It never happens however if it does, tell the cleaners if you're capable to. When it isn't very possible, give us a call. Get One Off Cleaning - We'll Get There Without Delay! You can make quick and simple appointments 24/7. Just contact us by phone 020 3746 3201 or fill in our online request. As a trustworthy one off cleaning Greater London SE company we also have public holiday and weekend availability. We have reasonable and offer big discount rates for customers who request more than one particular service at a time! There is no deposit for booking our services. You will pay as soon as we are finished. The insurance policy for the service is integrated in the final rate.